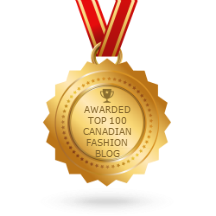 tagged 2017 Trends, Accessories, Best Shoes, How to Wear, New Sudbury Centre, Real Life Runway, Sarah Francis, Spring 2017, TTransitional Dressing Sarah Francis. We go through different phases in life of wanting to conform and dying to be different. As a teenager, I remember thinking that I had my own amazing sense of style, only to look back at pics and realize my group of friends had a very distinct uniform - a tragic, Disney-sponsored-skate-park-by-day-rave-by-night uniform. It's really hard to describe, and I won't torture you with the pics, but it basically consisted of mini skirts or dresses, tiny logo tees (my monster truck tee was my fave), over-the-knee socks and Converse or Gazelles. Occasionally we wore our Little Mermaid backpacks, but they were way too small to hold anything other than a few tubes of LipSmackers so we usually just carried them on empty. For the record, there were no soothers. Whether we knew it at the time or not, wearing this uniform made us part of a club, made us look like a team, made us feel like we belonged. tagged Accessories, Do You, Fashion, Fashion Blog, Inspiration, Outfit Ideas, Shoes, Spring 2017, Spring Trends, Trends, What to Wear Sarah Francis.